31.08.1914 Formed in Bury as part of the First New Army (K1) and then moved to Belton Park, Grantham to join the 34th Brigade of the 11th (Northern) Division. Bury as part of K1 attached to 34th Brigade 11th (Northern) Division. The 9th were reformed in 1940 and in the Autumn of 1941 were retrained and converted to an Armoured Regiment,their new title being the 143 Regiment RAC in 125 Armoured Brigade,42 Division. 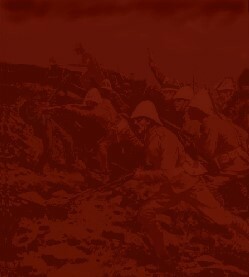 The victory and turning of the tide at El Alemein caused a change of heart by the War Office and the 143 Regiment RAC disbanded.